Photograph. Setting steel - real tunnelling. 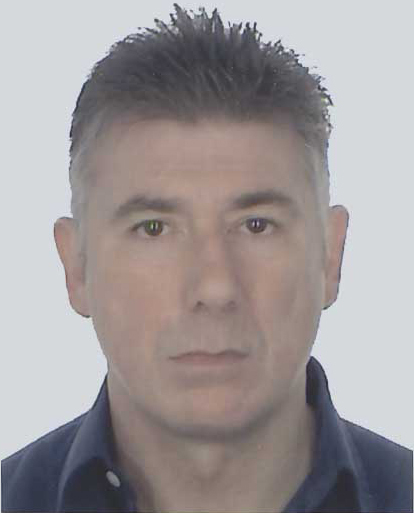 The editor of natm up in the notorious Kelvin Valley near Glasgow, on a job where JF Donelon went into Administration before being taken over by Amey. 1992-94 Worked on development Tunnels at Harworth Colliery, Nr. Doncaster. As a tunneller drove several tunnels using both drill & blast and Dosco Mk2A Roadheader to enable the installation of a new coal face as well as tunnel refurbishment works, which involved the removal of crushed colliery arches following extreme pressure from the ground above and their subsequent replacement. 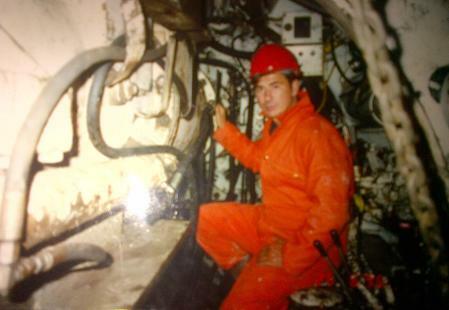 Working in extreme/severe temperatures up to 50deg C.
1992 Worked on the sinking of two 8.5m dia. by 30m-deep (approx) bunker shafts at Welbeck Colliery, Meden Vale, Nr. Nottingham using drill and blast. Drove tunnels and constructed a junction using a Dosco LH1300 Roadheader to enable the installation of a new coal face. 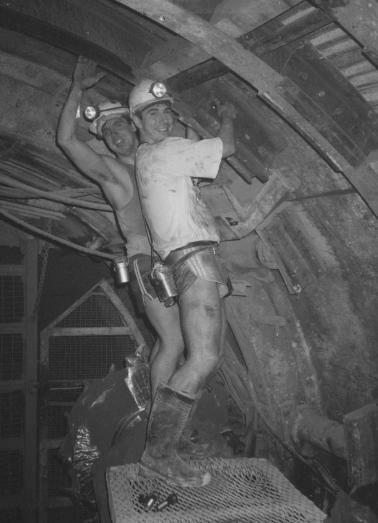 1991-92 Worked on development Tunnels at Whitemoor Mine, Selby. As a tunneller drove several tunnels via Dosco LH1300 and JOY Roadheader to enable the installation of a new coal face as well as tunnel refurbishment works, which involved the removal of the invert following "floor blow" using Eimco/Haussher. 1990-91 Worked on the mine development (Construction of the new pit bottom) at Maltby Colliery. 1988-90 Worked on the Mine Development at Vale of Belvoir (Asfordby Mine) in Leicestershire. As a tunneller drove several 5.0m dia. circular concrete and steel tunnels along with steel junction work using Anderson Strathclyde RH14 Roadheader / drill and blast. A proposed £90M, 19m-wide cut and cover tunnel for the East Grinstead Relief Road. Asked by residents action group to put in an independent costing of the scheme based on East Grinstead Council's proposed plans. Asked to independently cost an option for 12 Nr. ducts to be installed beneath a 10,000m2 warehouse. Undertook the work as a tunneller on behalf the groundworks contractor/s hand driving a 20m-long by 1.8m2 tunnel through clays, sands and gravels.